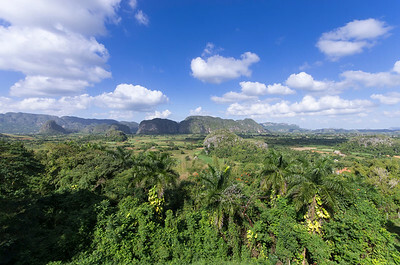 Viñales is a beautiful and lush valley in Pinar del Río province of Cuba, with a population of around 10,000. 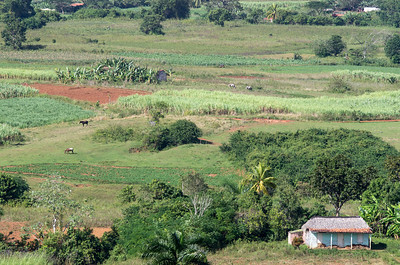 It's about 26 kilometers north of the city of Pinar del Río, and was declared a UNESCO World Heritage Site. 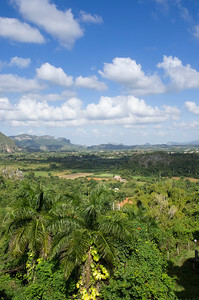 Following the emergence and considerable expansion of tobacco cultivation, the village of Viñales was founded in 1875, along the road leading from Pinar del Rio, the capital of the province, to Puerto Esperanza, the main outlet to the sea. The Western Railroad (Ferrocarril del Oeste), of which only a few vestiges are left, was built in 1882. 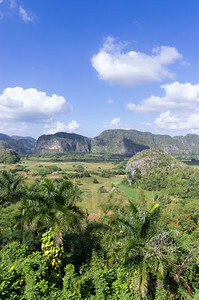 Viñales Valley was the scene of several military operations during the War of Independence and also during the Cuban Revolution. 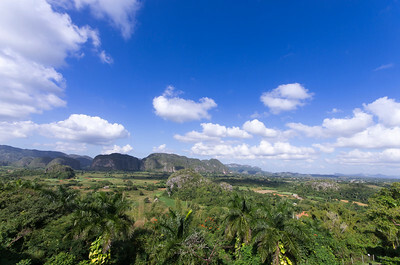 Viñales Valley is an outstanding karst landscape in which traditional methods of agriculture (notably tobacco-growing) have survived unchanged for several centuries. The region also preserves a rich vernacular tradition in its architecture, crafts and music. Most of the buildings scattered over the plain are simple. 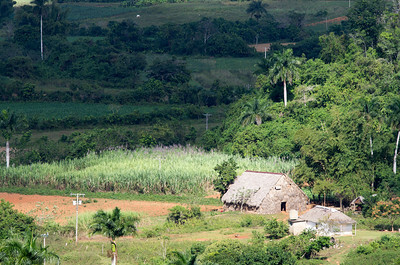 They are built using local and natural materials, and are used as homes or family farms. 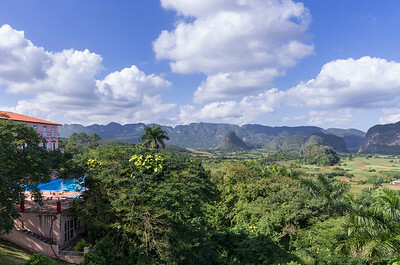 The village of Viñales, strung out along its main street, has retained its original layout, and there are many interesting examples of colonial architecture. The valley is home to an original culture, a synthesis of contributions from indigenous peoples, Spanish conquerors and black slaves. 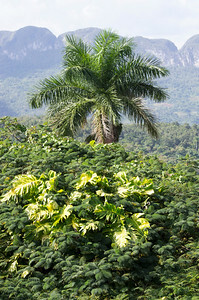 Viñales is said to be Fidel Castro's favorite place in Cuba. 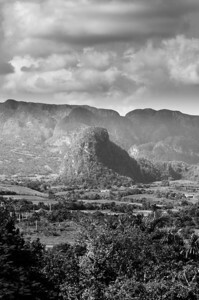 The mountains are beautiful, the farmers grow the best tobacco in the world, and tourists—who come every day by the busload—are allowed to mingle with the Cubans and spread money in a nice even sugar-coating.